As with any criminal charge, a person charged with driving while intoxicated (DWI) or driving under the influence (DUI) is presumed innocent until proven guilty. If guilt is established (often through the defendant's own plea or after a jury trial), the penalty will depend on state law, as well as on any aggravating circumstances (such as the presence of an open bottle of liquor in the car) and the defendant's cooperation with the police. In all states, first-offense DUI or DWI is classified as a misdemeanor, and punishable by up to six months in jail. That jail time may be increased under certain circumstances. For example, some states mandate more severe punishments for DUI or DUI offenders whose blood alcohol concentration (BAC) at the time of arrest was particularly high—for example, .15% or .20%, very high considering the legal limit of .08%. Many states also require minimum jail sentences of at least several days on a first offense. Subsequent offenses often result in jail sentences of several months to a year. For a DUI or DWI that's been classified as a felony—either because the driver killed or injured someone or because it's the driver's third or fourth DUI—jail sentences of several years are not uncommon. Again, this depends on state law, the facts of the case, and the discretion of the judge at trial. In addition to jail sentences, courts can and do impose high fines for DUI or DWI. These range from $500 to as much as $2,000. ProblemsA DUI or DWI offender stands a good chance of having his or her license suspended for a substantial period of time (either by court order or mandate of the state motor vehicles department). For example, many states suspend a first offender's license for 90 days; a second offender's license for one year; and a third offender's license for three years. Refusal to take a blood, breath, or urine test can result in a license suspension regardless of the finding of guilt, in addition to other penalties in many states. However, sometimes it's possible to obtain a "hardship license" to drive to and from places like work and school during a suspension. Some states take further steps to make sure the person (particularly a repeat offender) doesn't get back on the road. The state may confiscate the car or cancel its registration, either temporarily or permanently. Or the state may require an ignition interlock device (IID) to be attached to the DUI or DWI offender's car. This device requires the driver to blow into a small handheld alcohol sensor unit attached to the dashboard. If the person's BAC is above a preset level (usually .02% to .04%), the car won't start. 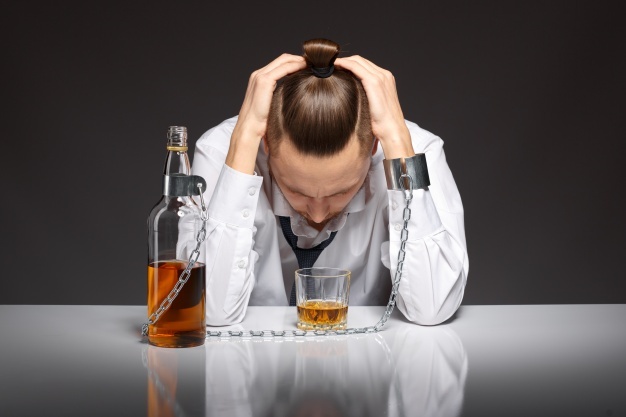 A number of states' court sentences may include alcohol teaching and prevention programs, treatment for alcohol abuse, assessment of a person for possible alcohol or drug dependency or addiction, and community service or victim restitution. The judge may recommend these steps instead of jail time or paying fines, most likely for a first offender. Or the judge may combine them with other penalties. In Texas, for example, minors convicted of a DUI must perform community service, in addition to any other penalties. A minor who is arrested for driving while under the influence of alcohol or drugs won't get any breaks from punishment -- in fact, being young is likely to make matters worse. The legal drinking age is 21 in most states, so drinking before that age is a separate crime. In addition, some states penalize underage drivers based on lower BAC levels than the standard .08% for adults, typically .02%. The state may impose adult sentences on minors, and underage DUI offenders are likely to have their licenses suspended for one year. In addition to legal penalties, the driver's insurance company may cancel the insurance policy or drastically increase the rates because of the hit to the person's driving record. And a drunk driving charge stays on a person's driving record for many years. Plus, if the driver's license is suspended, the insurance company is likely to cancel the insurance policy. Certain jobs may be closed to those who've been convicted of DUI or DWI, such as driving a school bus, delivery van, or any other vehicle as part of their employment. Finally, the driver may face a separate civil lawsuit if accident victims decide to sue for property damages or bodily injuries.